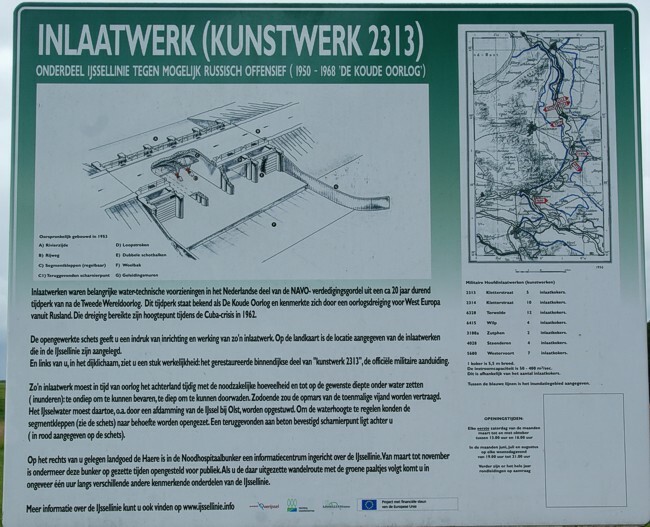 The water works in Olst were built in the beginning of the Cold War. 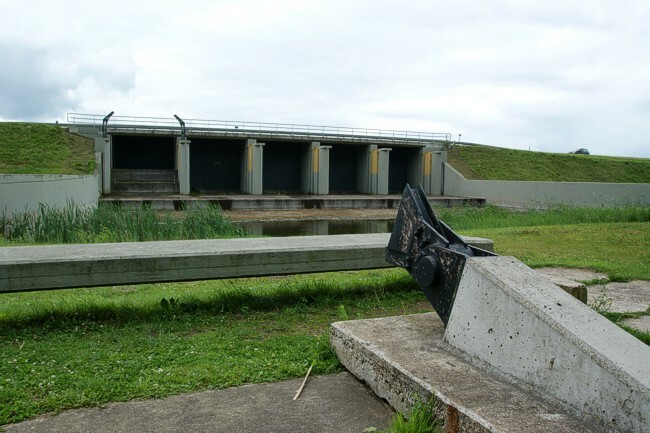 Opening the barrier would flood the land east of the river IJssel. 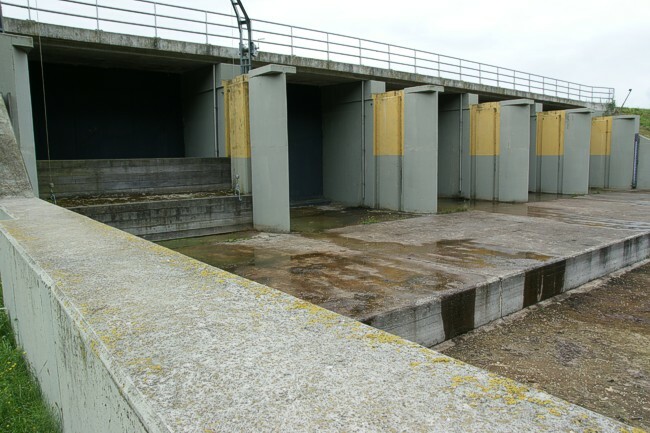 In order to provide the barrier with enough water on a short notice, the river itself could be closed with sliding gates. To protect the entire system several Sherman tanks were fixed in concrete. In the woods nearby two bunkers were constructed. One for communication, the other as a hospital. After 1968 the barrier was not used anymore, but it has been well preserved. The provisions for damming the river have been removed to make the IJssel better suitable for ships. The bunkers were used as a commandpost during the rest of the Cold War. It is a big construction. The part in front is a remnant of the closing mechanisme of the river itself. At one "tube" the wooden beams and the hoisting system are still present.